In 1990, a young man told me about repeated coincidences of seeing 11:11 on clocks and other places. In the following months, I began to experience coincidences about 11:11 in my own unique way. I learned of Solara's 11:11 Doorway material. She had predicted many years ago that people would start to repeatedly see 11:11 on clocks and such. I came online in September 1996, and then on December 12, I found some postings about 11:11 coincidences. They were in a special area of America Online devoted to the Art Bell radio show (Coast to Coast AM) at the time. One section was called "Parascope," which had a part were people could post messages. One of the folders listed was titled, "11:11." There were some 45 messages in the folder, most of which are posted below. I made a long report myself, which is now an article. I found other reports on the subject from various sources after that. In some cases other numbers, were reported to appear repeated in coincidental ways, such as the triplets (111, 222, 333, 444, 555, 666, 777, 888, 999) or triple numbers ending in eleven (211, 311, 411, 511, 611, 711, 811, 911). I met Dee Finney in 1997 and in 1999 we began to put these reports online. This is the first page of several, starting with the year 1996. After that, we began to receive email reports from people who found this page. We feel it is significant that the Mayan calendar ends on December 21, 2012, at 11:11 AM Universal Time (within a fraction of a minute). We have included here some information about that. Near the end of this page, we included various theories about the 11:11 phenomenon, and links to related sites and articles about numbers. In October 2011, I added some information about the 11-11-11 date, that is, November 11, 2011. From that day to the Mayan calendar end in 2012, there will be 1 year, 1 month, 11 days -- another form of 1111. In 2005, I was interviewed about the meaning of 11:11. Included are many related topics. If you have had similar experiences, or have theories, please write and let us know. I too have been recognizing, or at least contemplating a connection to the number 11. I find it iteresting that 9 times out of 10, when I look at a clock, it reads a double digit. I thought that maybe it was because I had an 11 minute attention span or something. I spoke with a friend about it and she said it was interesting because my name, Christopher, works out to 11 in numerology. And, as a coincidence and totally before I found this board, I choose 11 or 1111 as the suffix of all of my AOL screen names. Maybe its a coincidence, I mean the chances of seeing a double digit on a clock is pretty good compared to other things, but it is just something that I thought was a personal observation until I found this board.. Also It is interesting that Newton found that if you multiplied all of the measurements in the great pyramid by 1.0011 you will get mostly whole numbers. Coincidence? I wonder. Subj: Yes, 11:11 is real! How interesting to find this site. I've already visited the 11:11 message board in the New Age section. There are so many of us from all over the world, from all walks of life who share the same experience; we all keep seeing the numbers 11:11. At first, it seems like mere coincidence, "It must be coffee break time." Then it becomes uncanny. "I got into my car at exactly 11:11." Finally it is undeniable. "All my clocks froze at 11:11." Something very strange is happening. In my newest book, "How to Live Large on a Small Planet", I state, "Something is happening and it is more real than any of us can imagine." A Greater Reality is being born. Each time that we see the numbers 11:11 it inserts this Greater Reality into our present moment. The earthworm finally looks up. There is a merger between the vastness of spirit and the solidity of physical matter. Next time you see 11:11, stop and feel the subtle energies around you. The 11:11 is a wake up call you sent to yourself. A reminder of your true purpose on Earth. Usually during times of heightened energy or accelerated personal change, you will notice 11:11 more frequently. It is a powerful confirmation that you are on the right track. Subj: What in the world?! Call me ignorant if you like, but after perusing the posts and reading the phrase "I have experienced 11:11" more times than I care to remember, my question is this...WHAT is 11:11? How can you experience 11:11? I imagine it has to do with always looking at your clock when it happens to read 11:11, but why make a big deal of it? I'm sure you have also glanced at your clock when it happened to read 2:48, or maybe 9:51. Please, someone attempt to break my ignorance. Explain this "phenomena" to me. In the New Age 11:11 message board, someone described this phenomena as "the universe tapping you on the shoulder". I like that!! Beyond that, I think it's just a guess. Funny, I have never seen this section of AOL at all, but went right to it after logging on tonight!! I have experienced 12:12 and 1:1, two 11:11 type instances. I have heard they mean the same thing but i also seem to encounter numbers like 12:38, 11:38 etc. often, so is this a similar phenomenon? My name is Chris Roth, I have experienced the 11:11 phenomenom, and am conducting a study on the subject. I would appreciate it if anyone who has experienced this send their adress to this account, so I may send them a survey to be filled out and mailed back to me for my study. I'm looking for a common thread in 11:11 experiences. My results will be posted here in the near future. Tell all other "11:11 people" to do the same. This project is called "ROTHLINK"
There is an 11:11 section in the Religion - New Age message boards. Interesting, lots of posts. The numbers 1111 or 111 occur ALL the time to me. Recently, I bought a certain stock for a flat sum of money. I had no ideas what it was selling for. When I got the paperwork, I found I had purchased 111.1 shares!! Driving home the other afternoon, I glanced at a realtor's "for sale" sign. The realtor's phone number?? You guessed it 696-1111. I think I'm relatively sane and I am not imagining all this!! I suppose I should feel relieved that I'm not the only person experiencing this phenomenon, but right now I'm just feeling numb. This began happening to me about two months ago. At first, I thought it was comical--you'd periodically spot the numbers, 1:11 or 2:22 etc. on your VCR or microwave clocks and you'd think that perhaps your luck was improving--then, after a few weeks the amount of "triple digit sightings" double, then quadruple and things start feeling a little creepy (Every night, it seems, I awaken to the sight of "triple digits", either 2:22, 3:33 or 5:55, and often times any one of these numbers two nights in a row, [I once awakened to 4:44 on three consecutive nights]--incidentally, I normally get up at 9:00)--now it's gone beyond creepy and has approached that dangerous area where you start questioning your own sanity ("triple digit sightings" have now been observed on cash register totals, computer time clocks [at home and at work], computer hard drive disk space, paychecks, addresses, phone numbers, and recently on license plates [pulling out of a parking space this last week, I spotted the numbers 444 on the vehicle beside me and shook my head, then was about to proceed when my eye caught the number on the license plate of the next vehicle which read 999, and if that wasn't enough, the vehicle next to that had the digits 333 ending the plate number], these patterns have been turning up everywhere.) --the 11:11 and 12:12 number phenomena I've been frequently observing, but had never really taken it seriously because of the overshadowing of the "triple digit sightings". For the last week I've been up and down the "net" trying to find some explanation about this--then, after learning that "Sightings" was moving from syndication to cable, I thought I'd browse in their area to learn more about the move--it was in their message boards that a "AJonke8683" queried about numbers (some were triple digits) he'd received from something not of this world--a reply pointed him (and me) to your 11:11 area. If someone's got a reasonable explanation for this, I'd certainly like to hear it (as quickly as possible). What a shock. I've been getting 11:11 for years now and it has driven me nuts trying to figure out what it means. Solanara, numerology, nothing "felt" right, but I know it's important. Something tells me to look at the clock and it's 11:11. Or I wake up at 11:11. Or I go to a store and the clerk asks me for $11.11. I been sitting quietly with a receptive mind until the clock rolls over to 11:12, thinking maybe someone is trying to tell me something. Hell, I know someone is trying to tell me something, but I'm not getting it. Frustrating. One night I woke up at 11:11 and laid there quietly, receptively, looking at the clock, waiting for it to roll over to the next number. When it rolled over, it rolled over to 11:34. Very smoothly. Just lost totally what...22 minutes? Baffling. Just yesterday, I got online and was looking around, and came across this! Blows me away. I've only met one other person who had experienced this. Wonderful to find all you guys! I'll mark this as one of my favorite places. Don't know my E-Mail address. Can anyone tell me how to find out what it is? Just post a replay -- I'll get it. Thanks. But it marks other things too: was it just coincidence that the ending of World War One was on the eleventh minute of the eleventh day of the eleventh month? Or a foreshadowing of what was to come? Subj: RE: 11:11 as "liner time"
Many years ago as a partying young adult, my friends and I would seemingly always find the digital clocks to either say 11:11 or 1:11, unfortunatly, in my then unlightened mind, we interpreted it to mean "liner time" or in other words, take another "line" of cocaine. Thank Spirit we grew out of those days but maybe someone was trying to tell us something postive , like wake up to reality and remember your mission !! 11:11 in numerology be an incredible "power" number. Use any numerology book, look up "11" then trillion times that energy. My wife and I have encountered 11's in various forms for eight years. Our first encounter was a barage of 11's over a period of two hours. This was closely followed by the channeling of a still unpublished book that we witnessed over a period of weeks. The book revealed much information that is now coming to brighter light in the form of electronic and print media aka Art Bell and this forum. There are no coincidences, merely portals. 11's are an accepted part of our lives now. Plus many more things we have learned since those first two hours. I may also be reached at TLotven@aol.com. This is all about relationships. Balance is the key. As the days gain momentum within a framework seen and recognized as 11:11 there are many who attracted to them this "phenomenon" or simply the sight of this display 11:11 and what it is is that symbol that you have given yourself to recognize or rather respond to it's 'energy". As if it was an agreed upon moment in time when you said that you as many others would begin to awaken within the sight of 11:11 you have granted yourselves this message as that is what it is> As the 11:11 came forth into your lives you were within it's vibration within it's time frame and within the times of your lives when you were 'leaving' time to go forth into another vibration that many of you are beginning to see and that is your symbol of "l2:12" and know that within that symbolism and that vibration your bodies have achieved as it were the availability of holding a new vibration, one that in purpose you came here to claim and that is a vibration that is of a new reality. The 11:11 is your expereiince, your intense expereiince of feeling and therefore releasing that reality that you were born into and came into to transcend fherefore as you were seeing and experienceing that vibration that displayed itself to you as 11:11 you were feeling the release of a reality and sometimes you still will as you are within the transcendance of the 11th hour, you are in the sudden and sure expereince of recognizing that you share with many the journey of not creating a new reality but rather releasing an old one. The 1l:11 is a reminder onto you of your position of not so much 'living' blindly that reality you came to "bust" but you are experieinceing it from a vantage point of observation, you are walking out of it to enter a new day a new dimension and you will begin to see that more clearly and more often as you enter the vibrationof 12:12.
is this connected to the pledians? LIGHTWORKERS BEGIN TO RECEIVE WORD THE MOMENT THEY START SEEING 11:11. THE MERE FACT THAT WE'VE BECOME AWARE THAT WE ARE A PART OF A GREATER WHOLE IS ENOUGH AT FIRST. INTENTION IS THE KEY, ALTHOUGH ACTIVE PARTICIPATION TO EXPAND OUR KNOWLEDGE OF ALL THAT IS, IS ALSO HELPFUL. 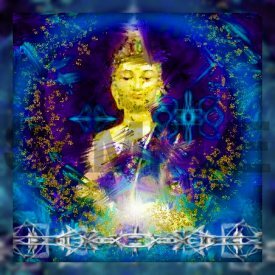 AS LONG AS OUR INTENTION IS TO MOVE OUT OF FEAR, VIOLENCE, INTIMIDATION, VICTIMIZATION, AND MALICE; AND TO MOVE TOWARD TRUTH, ACCEPTANCE, LOVE( IN ALL IT'S VARIOUS FORMS), AND "LIGHT", LIGHTWORKERS ARE DOING THEIR MISSION...WHICH IS MERELY TO HOLD LIGHT IN PLACE ON THIS PLANET. THIS CAN BE DONE IN MANY WAYS, MOST OF WHICH ARE UNIQUE TO EACH LIGHTWORKER. MATTER HAS NEVER HELD SO MUCH LIGHT, AS IT WILL HERE ON THIS PLANET. WE ARE A GRAND ORGANISM...THE ENTIRE PLANET IS ONE ORGANISM ABOUT TO GIVE BIRTH AND LIGHTWORKERS (11:11'S) ARE VITAL. WE WILL ANCHOR THE GRID FOR THE NEW PLANET. THE BEST THING WE CAN DO, AS 11:11S, IS TO HONOR OURSELVES, LOVE OURSELVES, ACCEPT OURSELVES, HONOR OUR HUMANESS, RESPECT OUR SPIRIT SELF'S OPINION (INTUITION), AND TRANSMIT THIS TO OTHERS THROUGH EXAMPLE. Subj: What is 11:11? I'm confused! Can anyone please tell me what 11:11 means? it's funny that when my friend and I are driving he'll, and sometimes I, will glance at the clock and say 11:11 make a wish. He said he doesn't know exactly where he got it from but this is weird that I see other people experiencing this. Help me, I am a little worried now. Any more info on this would be helpful....im constantly seeing 1111 on the clocks and watches for over a year now...dont know why or what...never heard of this phenon..doesnt matter what im doing or when..it seems when i look to see what time it is..it is 1111. Lohean You should not listen to that person regarding 11:11 as quackery. Who ever that is they are very fearful....There are a lot of good books out on the market regarding this subject which is referred to as the Doorway. Patrica Cote Robles is one author she also has a newsletter titled humanity....something i forget but if your interested i'll get it for you, I participated in an 11:11 event on Jan 11 1991 at 11;11 am it was great it took place on a world wide level. Solara is also the author of many books on this subject. If I can help simply Email me. Does anyone have any information pertaining to this? More and more people are sharing the coincidence of 11:11. 11:11 is an important wake up call for lightworkers to stop being caught up in the material world and start participating in the spiritual world. I have seen 11:11 for over 7 years and even when it wasn't 11:11. When the power goes out your alarm clock still keeps time but blinks until yoy fix it, one night I feel asleep on the couch during a thunderstorm and there was a power failure and I finally went to bed around 3:00 a.m. but to my surprise my clock was blinking 11:11. If you see it , you should accept it and try to learn more about it. Think about it, you see a number like 11:11 and all of a sudden you are reading information about it because for some reason you think it means something in your life. It is a code engrained in your memory before you were born and when you see it you will begin to alter your thoughts until you do whatever it is you were meant to do prior to your arrival on this plane. Oughten House publishers and Solara have good books as well as a magazine called Connecting Link. I know over 20 people who see 11:11 and see it all the time. You will also find out that after you start making spiritual changes in your life you will stop seeing 11:11, this is the truest test of all. There is also 12:12, which for me is a sign of living in that Lightworker framework. This includes, being spontaneous, trusting my hunches, leaning toward faith and truth...especially being honest with myself. This stuff is very important for me to share with others because it immediately reminds me why I'm here and recenters me. Please contact me if you'd like to share experience, faith or hope. I've been seeing 11:11 and other no.s like 4:44,1:11 etc. for about 4 yrs. Sometimes 10 or 12 times aday. I never really had expierianced the '11:11' chance of time, but for as long as I can remember I would always happen to look at a digital claock at exactly 1:11 AM ( never PM). This coincidence of time has been happening throughtout my entire life and I always wonderes what it meant. it seemed TO 'coincidental' to be mere coincidence. THERE IS CLEARLY A PROFOUND MEANING TO THESE NUMBERS RECURRING CONSTANTLY TO PEOPLE ACROSS THE PLANET. IF WE ARE TRULY LIGHTWORKERS ON A SPECIAL MISSION. THEN WHO WILL GIVE US WORD? IS IT SOMETHING WE MIGHT BE ABLE TO ACCESS THROUGH HYPNOSIS? IS THERE AN APOCOLYPSE ABOUT TO TAKE PLACE ? IF ANYONE HAS ANY ENLIGHTNING INFORMATION, PLEASE SHARE IT WITH THOSE OF US WHO TRULY ARE LOOKING FOR THE MESSAGE. I always see 11:11 but also 2:22 lately. It's everywhere. A friend at work experiences the same. If anybody figures it out, please post here. When my mother was alive, she always told me about her experiences with the 11:11 phenomenon. Although I tried, it never happened for me. However, once she passed away, I began to see 11 11 everywhere - on the clock, in addressess, phone numbers, bills, etc. I simply thought it was Mom letting me know she was "with" me. I never knew others had the same experiences with this number until I found this message board. Perhaps it is a type of "doorway" enabling us to "communicate" with others who have previously experienced it. Perhaps it is just "wishful thinking" on my part. Eitherway, I cannot explain the numerous occasions this number enters my life. I have been browsing thru different things on the computer tonite and 1111 caught my eye I also , about seven years ago started having many experiences with 1111. Not only on clocks which of course would not have seemed as significant before digital clocks came out . someone ought to research that invention and see if it correlates to 1111some how. I also had gas bills come up 1111 and other tabs or checks actually just about anything with numbers. I also have had many credit card numbers that have pairs of numbers that add up to 1111..and every year on nov. eleventh or jan eleventh I always wait to see.......? I don't know now if I'm just noticing it more now because of the past or what. In numerology eleven is a master number. In astrology it represents aquarius. we are approaching the age of aquarius..... One other thing I am curious about , has anyone also noticed a predominance of palandrome numbers 1221,1331,4554 and so on and so on. I also have noticed the 1221 or1212 combo too. It has been heralded that this day is the coming of a new understanding of a more grand reality. That it is a trigger which will activate all of what you would call lightworkers into their higher purpose. These are common misconceptions of the total truth of this date in your world. As is often seen, the totality of a concept in your world is not normally completely assimilated. I am here to explain this coming totality. This global and universal oneness activation point will be much like a door opening for the first time. It is completely your choice to walk through that door. There will be no being walking you through that entry point hand in hand. You must do the work entailed to enable yourself to be fully aware of this doorway that will be opened to you. What must you do you ask? We have been preparing you for this point and more through all of our communication. These communications are matters in which you must contemplate and enact into your souls progression all the days of your life. The integrations make you whole again with your higher self and the universe. You are now headed face first into this opportunity…this activation opportunity. It is an opportunity to accelerate your growth. To become what you are meant to be. To make great strides in the healing of your soul. This is what this is all about. Healing. To take a fragmented soul and make it one again. This day will be the activation point. The day of great universal strength that can enable you to make these grand realizations of the grand reality. To feed these that you call lightworkers into a higher place. Now you see why I say that the common belief is not quite what this day will enact. If you sit idly by and expect an instantaneous change within yourself, you will be greatly disappointed or you will be telling yourself an untruth. Again, the truth is that you must do the diligent work unto your soul in order to hit this activation point at its highest vibration in order to heal yourself into a higher vibrational being. This is the truth of your inner wisdom. This is a truth to your existence. To evolve as an energy being. To strive through the cycles. To not get wrapped up within a small form collectively created reality or dimension, but to be in touch with all that is for the rest of your days. Is this not the ultimate form of healing? Imagine less sickness. Less anxiety. Less fear and depression. Less war and hate. All of these things that you see as a negative existence slowly fading away as you raise yourself above it all and teach the rest of the world to rise with you. Watch you also become the teacher to the proper good. You cannot stand on the outside of this door and pretend to know what is on the other side. You must live the truth, then you will see the glory of all that resides within. I live within this space. Heal yourself. Walk through this door on your 11:11. Come with me to divinity. The 11:11 is clearly a grand scale worldwide phenomenon. Obviously, these reports are just a small sampling of something much larger. It includes new information that supports older theories about the nature of the earth changes. Additional information about 11:11 messages is presented, such as a connection to the number 23 (11 + 1 + 11). The Mayan calendar ends on December 21, 2012, at 11:11 AM Universal Time. This may be the primary reason for the 11:11 coincidence phenomena. Some say this is the "end of time," or even "Doomsday." I and others believe that it is the end of a grand cycle of time and the start of a new one, which will be very positive. Some experience the 11:11 as a warning of something negative. Others see it as positive developments. My studies suggest that it is often about changes, which may have a stressful part, followed by a more positive circumstance. Many say the 11:11 is a "wake up call," and I agree. Indications are that our lives are planned, and each person is unique. Our dreams and experiences, including coincidences, are part of the plan. Others may help us in finding our way, but it may be a mistake to blindly follow the interpretations of other people. During the time cycle, the authority over our beliefs has been dominated by church and state. The new cycle features authority from within each individual. The unconscious mind has been in an evolutionary process. It is learning to leave guideposts and confirmations for us in the form of coincidences. The number coincidences seem to be the most recognizable. Such things tend to start us on quests to find answers. More and more people are finding that information is coming from the dream/spirit world about a massive change approaching. The symbolic messages come in many forms, including crop circles, UFO/ET events, inspired artistic material, symbolic events, and most importantly, dreams. The various puzzle pieces have started to form larger pictures, and will continue to do so. The process will change beliefs, which will bring on changes in ways of thinking and being. It is important to keep in mind that beliefs do not have to be "true" in order to cause change. My personal experience with 11:11 led to the idea that humanity has been on a time cycle path corresponding to the chakra levels of consciousness development. We are near the three and a half midpoint of seven, and a leap to the fourth level, the heart chakra. During the time in the lower chakras, the animal instincts, we have been unconscious co-creators of the reality. Symbols of this include being underground or underwater. With the leap to the heart chakra, we symbolically reach the land's surface and become conscious co-creators, symbolized by Lion King and Royal Power. The two suns indicate the duality balance ahead, in the symbolic form of Venus growing in size to equal the sun. The duality balance includes the two ways of thinking, intuitional and rational. Symbols of this include shaman/chief, priest/king, and Fisher King. As the fourth heart chakra is achieved, the Seed of Life flower will open like the aperture of a camera, revealing a twelve fold flower or design, with a six fold image in the center, such as a Star of David. This is similar to the traditional symbol of the heart chakra. The change, therefore, seems to indicate the opening of the heart chakra. This is indicated in Revelation 12 by the Woman With Child with twelve stars as a crown, and in Revelation 21 by the New Jerusalem, which has twelve gates, angels, and pearls. Music itself has the form: 11 + 11 + 11 = 33 in a triangular arrangement. An interesting part is about an unknown "control system" that helps scientists working with numbers involving subatomic physics. Dreams are involved. The "control system" seems to be part of the unconscious. I think we are all influenced by that same "control system." It is like the "script" written for a movie. Evidence for this is seeing certain numbers over and over again in coincidental ways. One of the findings is based on crop formations indicating lock 288 and key 156 = 444, and one-fourth of those values (72 + 39 = 111). This clearly connects directly with the work of a leading scientist, Professor D. G. Leahy. This is solid evidence that these "wake-up" numbers are about the nature of creation itself. The Omphalos (Gematria 911) symbol is explored as a symbol of our individual perception of the reality we are creating. Important information is coming to people in dreams. We will be reporting the information as it comes.